Knowing how to drive in any situation, including driving on a motorway, is an important factor in reducing accidents. Driving lessons enhance a driver's skills and promotes safer driving. Knowing how to drive and react in a variety of situations is essential for safe and defensive driving. Practical on-road training is important for drivers to learn how to drive appropriately and safely on different types of roads, including in all types of rural and urban settings. Hands-on instruction, including motorway lessons through the Pass Plus scheme, is crucial if a driver wants to learn how drive when faced with any road or weather condition. Driving on a motorway is a vastly different experience than driving in town or on a rural road. Although motorway driving is generally safer, it can be intimidating when first learning to drive. Since motorways feature significantly higher speeds than rural and urban roads, the effects of an accident can be considerable. It is important for drivers to be cautious and respectful when driving on a motorway. 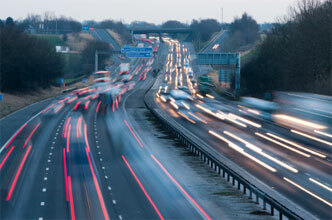 Understanding motorway driving helps reduce the risk of accidents. Motorway lessons provide instruction on safe driving at higher speeds. They offer drivers practical experience on how to react properly and respectfully on motorways. Lessons also help drivers who are afraid or uneasy about driving at high speeds and on motorways. Motorway lessons teach a variety of skills unique to motorway driving through hands-on experience. Motorway driving lessons typically provide instruction and practical experience in overtaking and lane changes, joining and leaving a motorway's hard shoulder. They also provide instruction on how to deal with a collision on a motorway and how to safely react to a vehicle breakdown. Lessons also provide practical experience with respect to entering and exiting a motorway's main carriageway, as well as driving at variable speeds and at safe distances from other vehicles. Motorway lessons are generally delivered through Pass Plus training programmes, which are provided by approved training instructors. Pass Plus refers to practical driver training approved by the Driving Standards Agency (DSA). A Pass Plus course generally includes at least 6 hours of driving with an instructor. The aim of the training scheme is to improve an individual's driving skills and promote safe driving on motorways. Most drivers opt to complete the course before attempting the practical driving test needed to obtain a full driving licence. The course can also be taken at any time as a way to improve driving skills, even when a participant has already obtained a licence. Pass Plus ensures a driver gets practical, hands-on experience on a various types of roads and conditions. Modules of the training course cover driving in town, on dual carriage ways, on motorways, and on rural roads. The course also includes modules on driving in different conditions, including driving in all weather conditions and at night. All modules are practical sessions, although some instructors may combine theory-based learning in their driving courses. Typically, at least 5.5 hours is spent driving. Once a participant successfully completes a training course, they receive a Pass Plus certificate. The main benefits of completing motorway lessons and a Pass Plus course is learning proper and safe ways of reacting to various situations when driving on a motorway. Driving lessons and completing Pass Plus training also have additional benefits that go beyond simply improving driving skills and promoting road safety. Insurance companies often reward safe driving. Completing a Pass Plus course verifies that a driver is committed to safety and improving their driving skills. Drivers who successfully complete Pass Plus course may find that they can receive a discount on their car insurance. The amount of the discount varies depending on the insurance provider. A Pass Plus certificate is required in order to qualify for a car insurance discount. Motorway lessons and Pass Plus courses are offered at driver training providers across the country. Pass Plus courses are delivered by approved driving instructors, and instructors must be registered with the Driving Standards Agency. The cost of driving lessons and training courses typically depend on individual training schools. The price is also affected by where the course is delivered in the country. Some local councils offer discounts for full Pass Plus training costs. The cost of a driver education also depends on the number of hours of practical driving completed. While 6 hours may be sufficient for some drivers, other may want to gain more experience with additional hours and driving lessons.